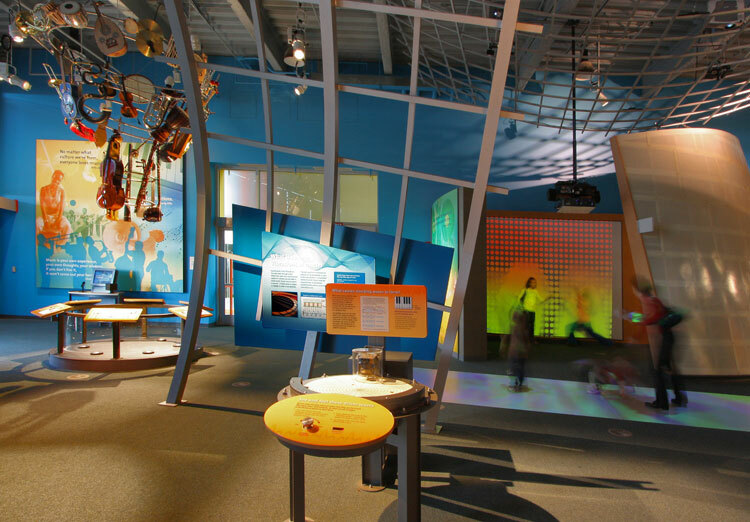 Sight & Sound Experience Connecticut Science Center « Jeff Kennedy Associates, Inc.
Experimentation, integral to the process of creating art and music, deepens our understanding of how light and sound behave and are perceived. 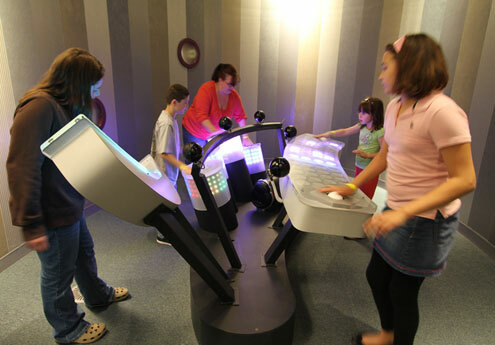 In the Connecticut Science Center’s Sight & Sound Experience gallery, the relationship between experimentation and self expression are explored in a series of open-ended activities that celebrate the relationship between science, art and culture. Many of the gallery’s elements feature experimentation with new and emerging technologies developed by artists and engineers to make the expressive qualities of light and sound accessible to people at all levels of technical proficiency, talent and physical ability. An underlying subtext of the gallery is that as technology changes, art changes. 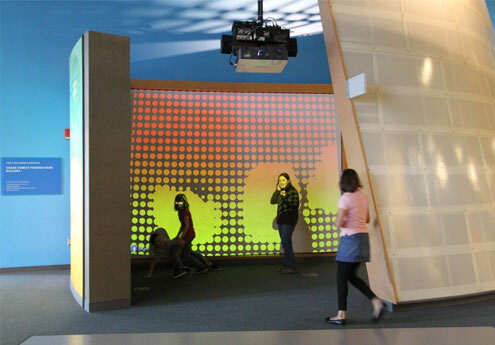 Art Jam, a collaborative music-making activity, engages visitors in full body play As customized LED and touch sensors control four colorful digital instruments created especially for the project by AV&C and Aesthetec. Resulting harmonies and rhythms sync with light and color patterns, resulting in a multisensory faultless jam.